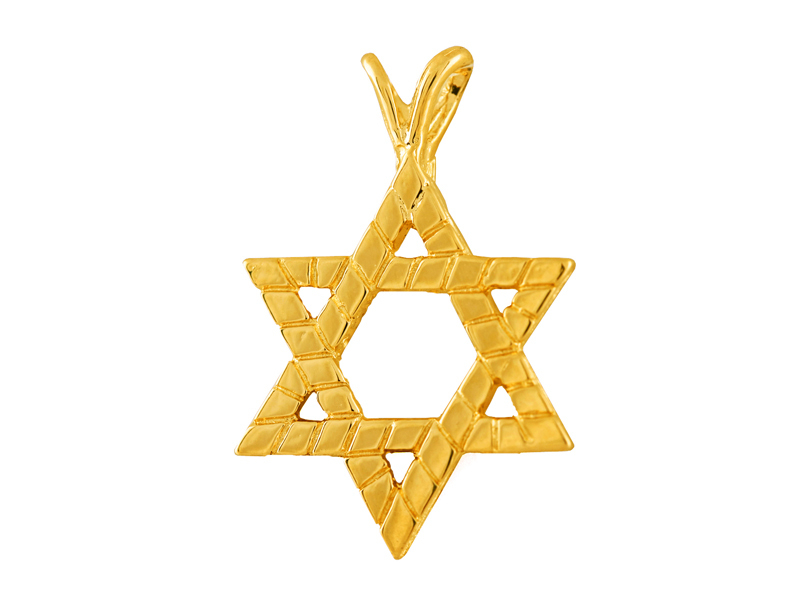 Simple and elegant, this Star of David pendant is made from 14k gold. It features a brick-like design throughout and has a double loop at the top. A versatile and wonderful gift idea for bar/bat mitzvah, or any other special occasion. Pendant is available in both yellow and white gold.